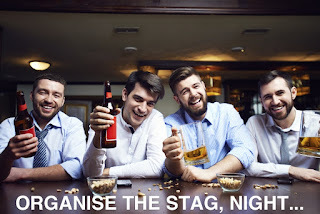 This blog is packed to the rafters with ideas, advice and help for what can be a tricky weekend to organise; the infamous stag do. Over the years we have gained copious amounts of experience (well, we have been around since 2003 you know) from our own experiences and reading stacks of articles on problem stag dos, so we thought we would collate this information in to a post all about helping you keep your nose clean! We are not trying to turn your stag do event in to a damp squid in anyway, we are actually trying to help you do quite the opposite! Keep off the booze if you're about to get on a flight. We are not saying don't have a few beers, just don't get larruped! 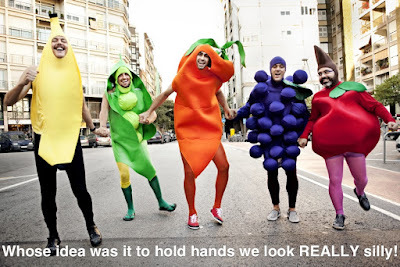 Grooms and Best-Men these days are always on the look-out for unusual or different stag do ideas, what's unusual or different to them could be something that another group did last year, so keeping up with the Jones' is getting harder and harder. So we thought we better get out there, scrambled across rocks, duck under waterfalls, fly through cyber space and find you 10 different stag do ideas which are both affordable and attainable, well 2 are a bit pricey, but 8 out of 10 isn't bad! 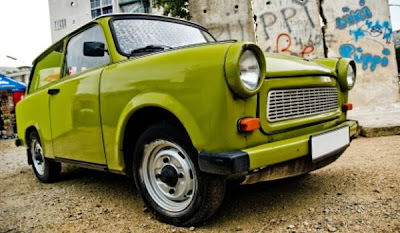 You have never driven on old banger like it, it has a 2 stroke engine (I don't know what that means) and driving it will take you back to the Cold War days. Imagine you and your group chugging away through the old Berlin Streets in these vintage machines, memorable and OK very different. Currently we are selling this experience for £61.00 per person. According to the Daily Mail the average time between engagement and marriage is 2 years! So in reality the stag will know who he will ask to be his best man within the first 6 months of proposing. As best man or Groom, that's a long time to plan things, and when it comes to the stag do, I personally think that booking it a year in advance is a great idea.